Those working with concrete know that having a quality hammer drill is a must. Most devices of this type sport the so-called “hammer setting,” whose purpose is to drive the bit further into masonry. These machines are especially useful when they’re cordless, as that allows the user to use them literally anywhere. The Makita XPH07Z is one of such models – it’s a battery powered, cordless hammer drill made by one of the world’s most famous manufacturers of power tools. Powerful, sturdy, and highly portable, this versatile device undoubtedly deserves a closer look. And that’s precisely what we’re going to do in the following paragraphs! We’ll analyze every single feature of this unit and try to find out its value for the money. 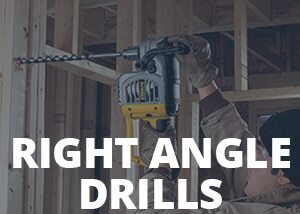 If you’re looking for a cordless hammer drill, we recommend you to read on and check out this model – it just might be the thing you were searching for. This unit sports a pretty powerful motor for a cordless hammer drill – it is capable of delivering 1,090 in-lbs of torque and 2,100 RPM of speed, which is more than impressive. It’s an electronically controlled brushless motor with optimal battery consumption, allowing a longer run-time per one charge than the models of competitors. Like many other Makita drills, the XPH07Z is also very durable and ergonomic, as it sports the manufacturer’s XPT technology and has a handle that feels great in hand. It has an all-metal self-ratcheting chuck, the variable speed transmission (2 gears), as well as the 3-stage LED gauge and computer controls that prevent the device from overheating. Teal and black, like all other Makita drills, this hammer drill has the dimensions of 15″ x 6″ x 11″ and the weight of almost 6 pounds. This makes it slightly heavier than the other 18V cordless models, but the device is still lightweight enough to be convenient for overhead working. It sports a beautifully designed handle with an ergonomic shape, which feels great in hand. The same could be said for the side handle – it’s long and sure to provide support when it comes to tough applications. Fortunately, the device is also quite durable, and the reason behind that is the manufacturer’s Extreme Protection Technology (XPT). The tool has been engineered in a way that doesn’t put it at risk from water and dust, which will be of crucial importance to those working in harsh conditions. This hammer drill has a brushless motor with the speed of 2,100 RPM and 31,500 BPM that can achieve 1,090 in-lbs of maximum torque. The fact that this is a brushless motor provides a particular advantage – it allows the device to run cooler, prolonging its life and removing the risk of overheating. The motor powers the unit’s 1/2″ self-ratcheting chuck, which sports a high-quality all-metal build and has an excellent grip on the bit. Due to its 2-speed transmission (0-550 RPM/0-2,100 RPM), one can use this model for a variety of applications, including fastening. The model uses 5.0Ah 18V Lithium-Ion batteries, which are sold separately. One full charge allows extended operation, with the user being able to check the charge level via the included 3-stage LED gauge. Even though it has been available for four years, the Makita XPH07Z has been outperformed by only a handful of models in the same price category. It’s still an efficient and well-made model worthy to be considered for purchase, especially if we take the sheer number of its useful features into consideration. We were very impressed with the unit’s design. Even though it’s on the heavier side, the Makita XPH07Z is still very ergonomic and feels great in hands, thus making working with it a real joy. Its brushless motor is still one of the best on the market since it doesn’t overheat while still working just as advertised. Another thing that deserves praise is the unit’s high-quality chuck, as well as the 2-speed transmission that’s guaranteed to give you enough flexibility in both small and large projects. All downsides of this device are related to its size. The XPH07Z is one of the largest cordless models we’ve reviewed so far, and as such will feel cumbersome and hard-to-operate-with to some users. Those who previously owned models that are a few pounds lighter will have a difficult time with getting used to this unit, so we advise patience – it’s worth it. The unit’s side-handle is of great help when it comes to challenging applications, but can also present a nuisance in certain situations. Fortunately, the handle is removable, so you can simply take it off when it becomes an obstacle. The user reviews for this hammer drill are overwhelmingly positive, which is not that surprising once we take its build quality and efficiency into consideration. Contractors are saying that using Makita XPH07Z is a real pleasure, with many of them preferring heavy cordless tools, such as this one, over the more lightweight solutions. They give special praise to the unit’s torque and speed, claiming that the drill is powerful enough for any kind of job related to concrete, and call the unit an excellent investment. Those looking for a cordless drill to use it for particularly harsh jobs should undoubtedly consider Makita XPH07Z for purchase. The build quality of this device is very impressive, while its sturdy brushless motor deals with all kinds of tough materials quickly and efficiently. It is the best hammer drill that Makita has ever manufactured, and one of the greatest power tools of this type on the market. Definitely consider adding it to your workshop!